Marking the Hundredth Anniversary of Key Conservation Legislation! The conservation movement was booming in the early 20th century, and Canada was among the global leaders in promoting it. That is due in no small part to the fact that Canada’s vast wilderness is home to stunning scenery and countless species of flora and fauna. One of the key pieces of legislation passed during the period was the Migratory Birds Convention Act, which became law in 1917. It was updated significantly in 1994 to account for some of the many changes that had taken place in the interim, and it continues to serve as an important protection for many species that fly home to Canada for the summer. One of the species that is protected by the legislation is the American avocet. The large shorebird can often be seen wading in the shallow waters of Canada’s lakes and wetlands. Its stunning beauty is on full display as it flies on the reverse of this this 1-oz silver proof. Shown in vivid color, the bird prepares to land against a backdrop of Canadian foothills and tall grass that blows softly in the wind. FOUR NINE FINE! 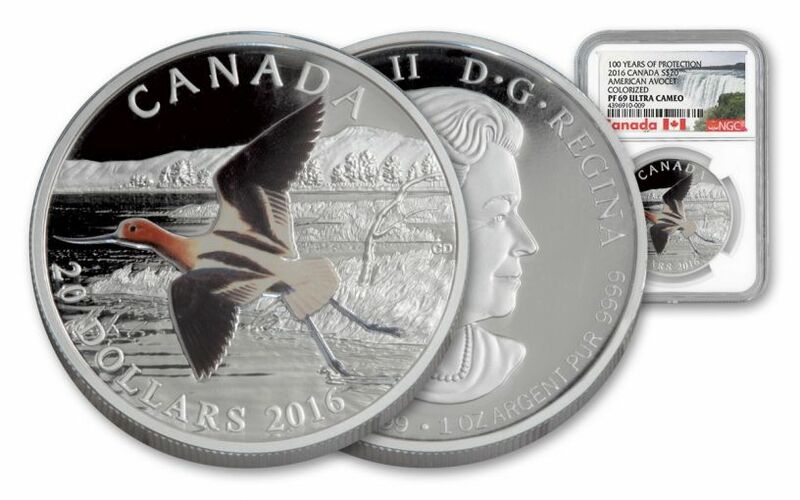 – Each 2016 Silver American Avocet Proof was struck from 99.99% fine silver at the Royal Canadian Mint. The Mint is among the world’s most respected and frequently releases series that appeal to collectors with specific interests! VIVID COLOR WITH PROOF FINISH – The beautiful contrasts of this bird’s orange head with its long nose and tan and black feathers bring this bird to life. 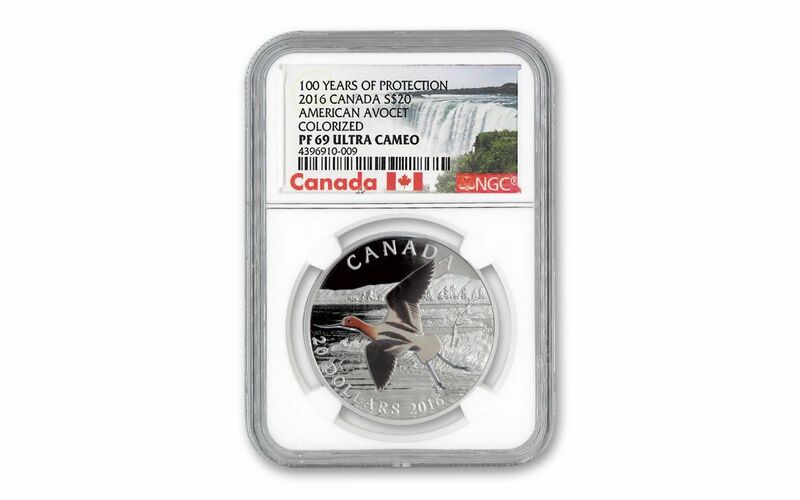 The bird itself and the background are both enhanced by the coin’s stunning proof finish. CELEBRATING AN IMPORTANT ANNIVERSARY – This coin was issued to mark the hundredth anniversary of the Migratory Birds Convention Act. 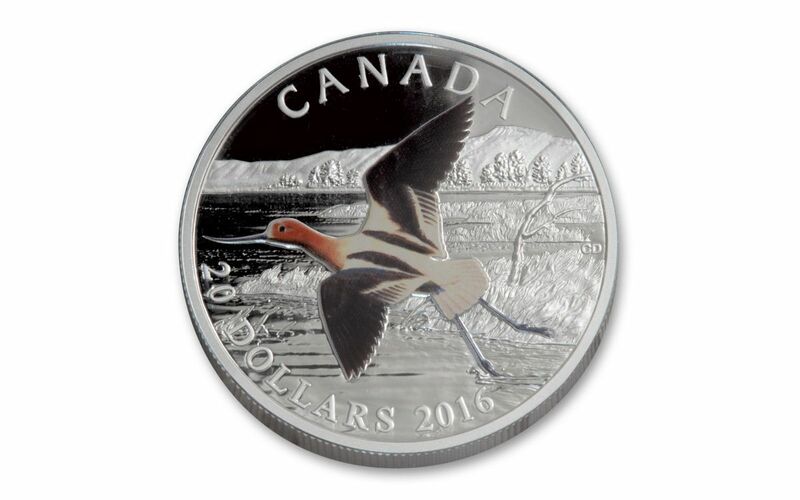 CANADIAN LEGAL TENDER -- Each 2016 1-oz Silver American Avocet Proof is $20 Canadian legal tender. In addition to being home to one of the world’s elite mints, which produces countless series for a wide range of collectors, Canada is home to breathtaking scenery, which includes endless forests, deep blue lakes, and stunning shorelines. CERTIFIED VIRTUALLY FLAWLESS -- Your coin will be graded Proof-69 Ultra Cameo (PF69UC) by Numismatic Guaranty Corporation (NGC), a distinction that means your almost-flawless coin will showcase an impressive full strike and indistinguishable imperfections -- well above and beyond the quality of the vast majority of coins in the series. 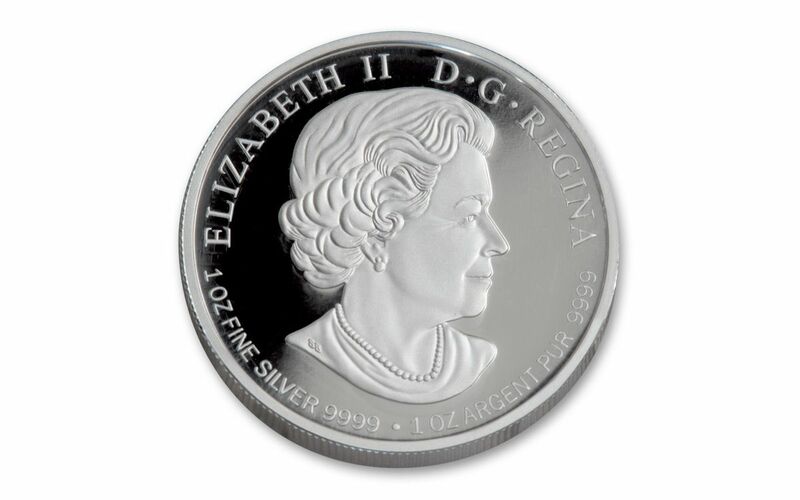 A LIMITED MINTAGE – Just 6,500 pieces were issued as a part of this limited mintage release. Canada’s lakes and wetlands are ideal for supporting a wide variety of life. Among the most important parts of that ecosystem are migratory birds, who lay their eggs and raise their young in that environment. The avocet is just one of those creatures, though it is among the most majestic. Whether you are a conservationist, a bird lover, or just like beautiful coins with natural scenery, you don’t want to miss out on this stunning 2016 Silver Avocet Proof.